Or view larger version. 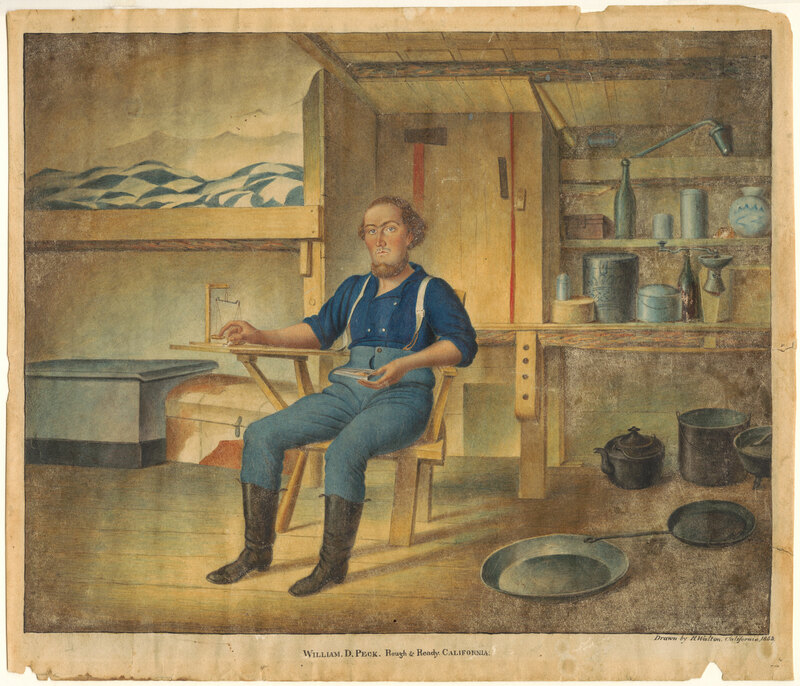 A Miner in his Cabin. ca. 1853. Henry Walton, artist. Watercolor on paper. Collection of Oakland Museum of California. This portrait is of a miner named William Peck. Mr. Peck is shown sitting in his cabin surrounded by objects that define the California experience and a successful 49er. Among his material objects are, his bunk covered by a homespun quilt, a gold pan, and scales.